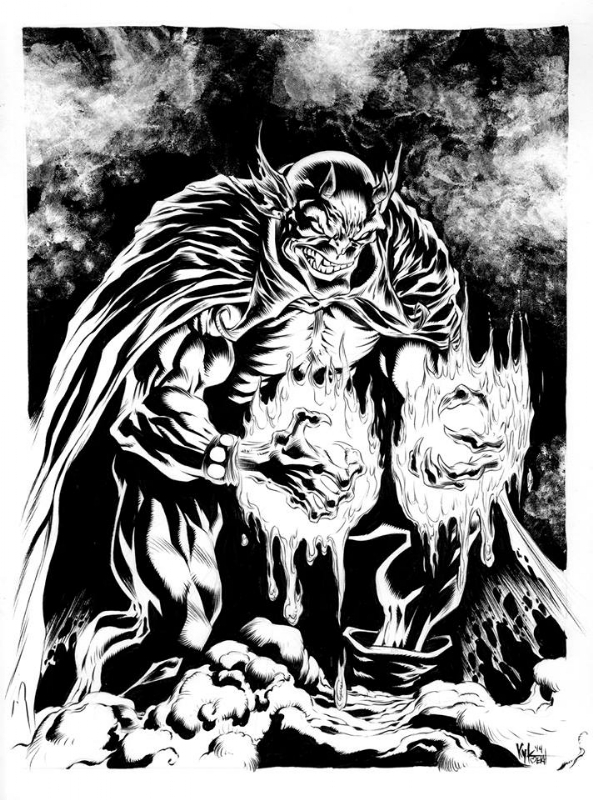 Etrigan the Demon is always a favorite of mine, so this piece by Kyle Hotz is a no brainer for this week's great piece of art. As always, you can check out a lot more Great Art over on the Tumblr. And after you're done admiring some great art here, don’t forget to check out some of the other great stuff on the site this week! Every week, the Quadrant Handbook brings another profile of the wide-ranging characters of the Quadrant Universe! History: Millicent Bryant was a surprise. Her parents met in 1964 when Milton was a 19 year old G.I. stationed in Korea, where Jung-hee was a 17 year old enamored with soldiers. They would not marry for nearly a decade when the two met in the aftermath of the Vietnam War. Jung-hee moved to America after marrying Milton in a small Korean service. She would take the name June as they settled in to a life together. Seemingly unable to bear a natural child, Milt and June instead focused on their educations. Both studied, earned Master’s degrees and became professors of history and Asian studies before adopting a baby boy, Cornelius, in 1981. It would be another fifteen years before they were faced with a surprise: 50 year old June was pregnant. Millie Bryant was born in late 1997. She quickly proved to be a prodigy, aped on by parents obsessed with providing her every educational opportunity. She skipped kindergarten and quickly rose to the top of her class at Federation’s best private academies. As a teenager, she fought to move to public school. Though a year younger, she entered high school at the same time as Kevin Mathis, new to the city. Along with Andy Case, they formed a strange triumvirate in a sea of strange characters. She was already an expert hacker by her senior year in high school. She used her skills to help Kevin, even as she was one of the few confidants that knew his dual identity as Lightweight. The tragedies of the second half of her senior year reshaped her life in many ways. Just barely eighteen and now in college, she started to call herself Cent and dedicated her free time to continuing to keep Federation safe from criminals, albeit through watchdog groups and internet activism rather than vigilantism. She continues her hunt for Kevin Mathis at the same time, sure that her friend is not another dead loved one, but instead is out there somewhere, lost and waiting to be found by her. Instead she uncovers a secret project perpetuated by Carolyn Bates. Alongside the new Lightweight, she attempts to stop Carolyn's plans and is inadvertently dropped nearly eighty years into the past. There she meets the first man to use the name Lightweight, former boxer Raymond Gunn. She quickly develops feelings for Ray, but as they attempt to stop the time tunnel from the other end, they are inadvertently transported through space and time, and onto a Confederation cruiser. Strength level: Millie possesses the normal human strength of a woman of her age, height and build that engages in regular exercise. 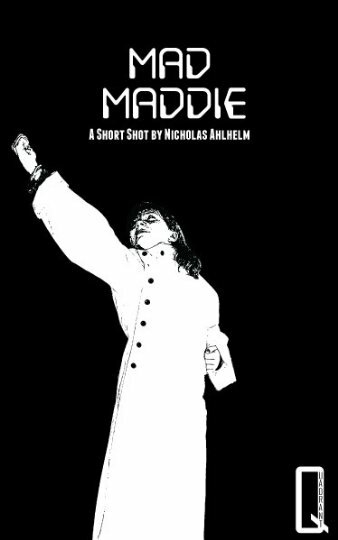 Other abilities: Millie is an exceptional student with near photographic memory. Her intellect and reasoning skills are well above average. In addition, she’s an expert with computers and wired systems. She has used this skill for amateur hacking, flirting with more free and less legal applications. She has also trained in aikido since she was seven. Both her father and she have reached high levels in the martial art. It is time. After producing dozens of stories set in one shared universe, I felt it was time to share a timeline of those events. I have tried to limit spoilers as much as possible, but some are necessary to the narrative and must be included. All of the works listed here are available on Smashwords, Amazon and/or Wattpad. If you have any questions, be sure to ask them in the comments below. 1817 May: Lester Champion and Montgomery Rivers found River City. 1838 October: Montgomery Rivers is murdered by order of Jedidiah Finch, who takes control of the burgeoning River City. 1862 September: After Jedidiah Finch is murdered by segregationists, his daughter Esther leads a group of women known as Finch’s Fury in the wholesale killing of every man involved with the crime. 1898: The Murphy Mob forms under the leadership of “Happy” Harry Murphy. 1909 February: His family murdered, newsman Silas Fitzpatrick has his throat slit and his body dumped in the river by the Murphy mob. He survives with the aid of Dr. Koga, though his vocal cords are irreparably damaged. Koga trains him in the martial arts and he starts to interrupt Happy Harry’s criminal enterprises first as Silence Dogood and later as Silent Silas. 1915 August: After discovering Harry’s hideout with the aide of Meredith Mann, Silent Silas and Happy Harry face off on Harry’s riverboat headquarters. Both die in the explosion that sinks the riverboat into the harbor. 1921: With the rise of crime in the wake of Prohibition, Merry Mann takes justice into her own hands and forms a team of vigilantes that all serve as the masked crimefighter The Hood. 1934: The Regal Hand of Gold and his Ten Fingers organization quickly take over the River City underworld. They hunt down, torture and murder the Hoods. 1935-? : Richard Irons becomes Federation’s first costumed defender, the non-powered Pugilist. 1941 April: The Regal Hand of Gold ends the threats of the Hood against his organization, as he kills Merry Mann himself, by burying one of his golden daggers in her back. 1941 August: Merry Mann’s estranged daughter Gloria Travers returns to the city to find her mother’s killer. Alongside the secret agent known as X, they brought down the Regal Hand’s operation, though the criminal fled to Asia. 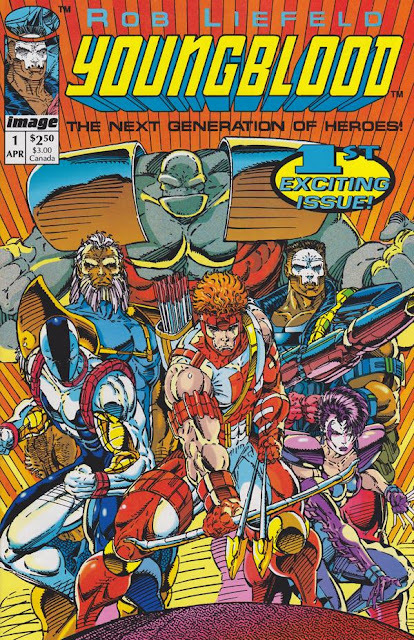 X recruited Gloria into the Pacific theater special operations force known as the Rangers of Freedom. 1942 January: Albrecht Stein succeeds in creating an artificial man to serve as the hero of the United States, but died before the man could awake at the hands of attacking Fifth Columnists. His son Andy consumes part of the same formula that created the artifical man. Together they become the city’s new defenders Yankee Doodle Jones and Dandy. Under the auspices of spymaster Uncle Sam, they battle an organized Fifth Column known as MEDUSA. 1943 July: Dandy, annoyed by the increasing paranoia of Yankee Doddle Jones, leaves River City to work full time as part of the Young Americans with Johnny Rebel and Yankee Boy. 1944 April: Deciding the entire government of River City were MEDUSA agents, Yankee Doodle Jones removed them from office and took control of the city. 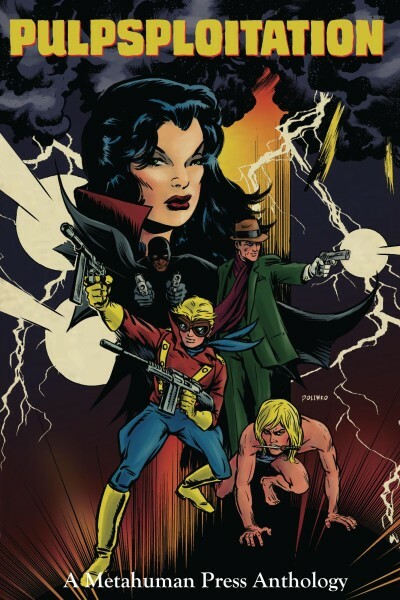 The other local superheroes The Enchanted Dagger, The Echo, The Dragon and the visiting Californian hero Barry Kuda worked together to stop Jones, but the resulting explosion damaged much of City Hall and left the Dagger and Echo dead alongside Jones. 1944 November: Pilot Jacob Redhawk Moore returned from the Pacific theater and aligned himself with crime boss Duke Angelosetti. He quickly manipulated the Duke and helped him take control of the entire city. 1949 January: Duke Angelosetti dies of an apparent heart attack brought on by a drug given to him by Redhawk. Redhawk takes complete control of River City’s underworld. 1950 April: Reporter Gail Porter is targeted for death by Redhawk after seeing an execution carried out by Redhawk and his men. She seeks the aid of private investigator Jonathan Jones, nicknamed the Crime Crusader, to keep her alive. The teenage vigilante Tomboy helps them escape death at the hands of corrupt police. She leads them to Redhawk’s penthouse home. Jones and Redhawk ultimately tumbled from a twentieth story window, both dying to end Redhawk’s reign of terror. 1950 August: Transformed into a werecat by a mysterious witch known as Lizette, Nita Dell fakes her death and uses her powers to unite the warring gangs under her leadership. Her werewolf henchman Brett Hannigan serves as a front to her operation. 1954: Keith Spencer is transformed into the atomic hero Captain Flash. 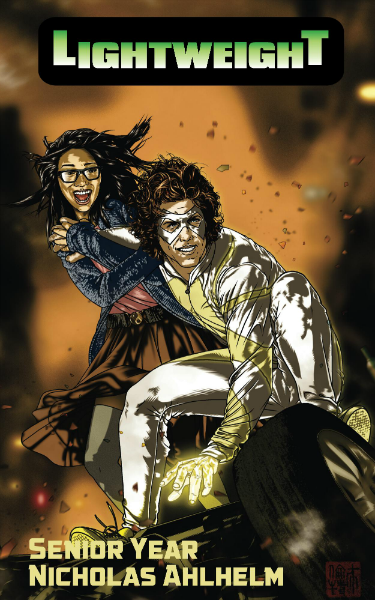 He uses his powers to battle criminals, even as Nita Dell sends costumed villains after him. He would defeat all of them, but Nita seduced him. On a Christmas holiday retreat in Colorado, she slit his throat and abandoned his body in a remote area. 1964 - 1971: Daniel Barnes serves as an agent for Project Stargate, a black ops unit of the CIA focused on individuals with psychic abilities. 1971 November: Under the alias of Dan Cooper, Barnes hijacks a 727 and extorts money from the government before parachuting out over Washington state. He immediately went into hiding. 1998 June: Still only 14, Therese Waters’ metagene activation leads her to become a metahero for the city of Detroit, Go Girl. 2002 July: The hero Legend first becomes active as the true defender of Federation. 2004 January: After learning she was seven weeks pregnant with her new husband Jake Brooks’s son, Go Girl retires and leaves Baltimore in the charge of The Constellation, a new hero. She gives birth to Jaden three months later, the pregnancy sped up by her powers. 2010 October: John Sprouse merges with a sentient alien biosuit and becomes Cyber. Yesterday, the 500th post went up here on the blog and it featured the first in what will hopefully be a very long series here on the site. As I work to create a destination here for readers, develop the mailing list alongside it and continue to write fiction, I want to remind myself and everyone to appreciate the little things. Sixty-six Cosplay Fridays ago, I started this feature with the always brilliant Spanish cosplayer Florencia Sofen as Harley Quinn. With everything that has passed in the years of this blog, I thought it would do us all well to turn to Florencia again, this time as Alison Blaire, the most dazzling hero in the Marvel Universe! As always, you can check out a lot more great Cosplay pictures over on the Tumblr. And while you are admiring some great cosplay here, don’t forget to check out some of the other great stuff on Super Powered Fiction this week! For more of Florencia, check out her DeviantArt and Patreon. History: Kevin Mathis never saw himself as superhero material. Born and raised in southern Minnesota, he moved after his father’s business brought him down to the massive Midwest city of Federation. He joined his class in the ninth grade and immediately became friends with two people, Andy Case and Millie Bryant. They formed a strange group in the ever-bustling world of Reagan High. Each had their own diverse interests. Andy loved cars and weed. Millie focused on computers. Kevin loved video games and wanted nothing more than to play them. An average student, he certainly could score much higher with just a little bit of applying himself. Then came the dreams. Every night, he received another vision of floating high above the city. And those dreams set him on a path that could make him the world’s greatest hero. Or maybe the world’s greatest villain. He quickly donned the costumed identity of Lightweight, driven to be a hero despite his once laid-back ways. 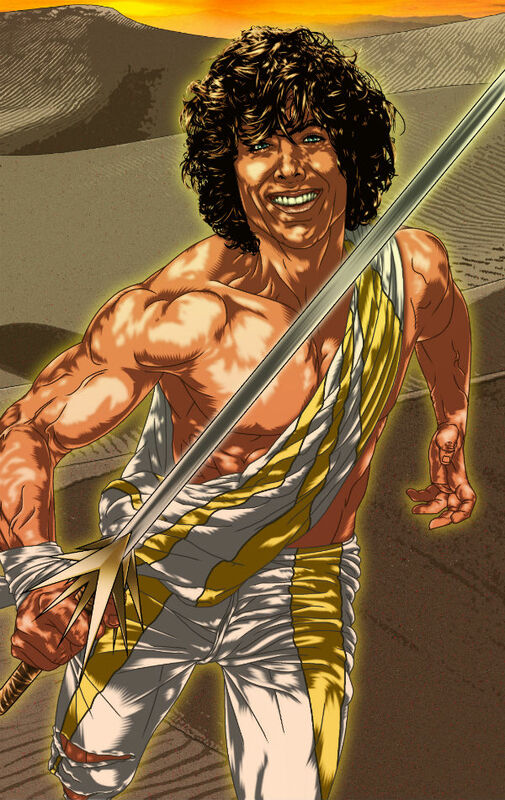 Over the course of the next several months, he fought threats such as Titan, Ronin, Carolyn Bates and Hellfire, he started to learn the secrets of his origins. With new allies like the Gray Man and Howl, he continued to fight crime as he sought answers about what the two factions wanted from him. He soon realized the ancient orders of the Eloi and the Morlocks wouldn't let him go without a fight. In a deciding battle with the villainous Black Death, both the hero and villain apparently perished under a destroyed skyscraper. Instead, Kevin found himself transported to the strange world of Nill. A desert wasteland separated into a strict caste system, it was cut off from the rest of the galaxy due to an ancient interdict. Seen as a savior to the people of the world, he came into battle with the Grand Magister of the Trangalactic Congregation of the Brethren. The nefarious religious leader wanted the planet's savior dead, but a huge battle only left the planet more ravaged in its aftermath. Kevin continues to live on Nill as he seeks a way back to his home planet and the life he lost. Strength level: Lightweight possesses the normal human strength of a man of his age, height and build that engages in moderate exercise. Known superhuman abilities: Kevin Mathis possesses the ability to manipulate the personal gravimetric field of any non-living object. He can use this ability to make things lighter or heavier. He can also use it to move objects through the air by manipulating their relationship to both other objects and the planet. When Kevin exerts his powers, his body begins to expel light. At greater levels, this light actually becomes almost blinding. With power over an essential force in the universe, Kevin’s abilities seem to have only brushed the most infinitesimal of their potential as he first dons the costume of Lightweight. Other abilities: Kevin also has basic hand to hand combat training as well as a vast knowledge of video games with special expertise in obscure independent games. Equipment: Kevin earned the Sword of the Light Bringer upon his arrival on Nill. The weapon serves as a focus to his powers. Made of alloys not understood even in the most technologically advanced corners of the alien world, it is seemingly indestructible. Tomorrow: Introducing the Quadrant Handbook! I promised a couple weeks ago to introduce a new feature here at Super Powered Fiction. It makes its first appearance tomorrow as I introduce the world to the first entry in the Quadrant Handbook. 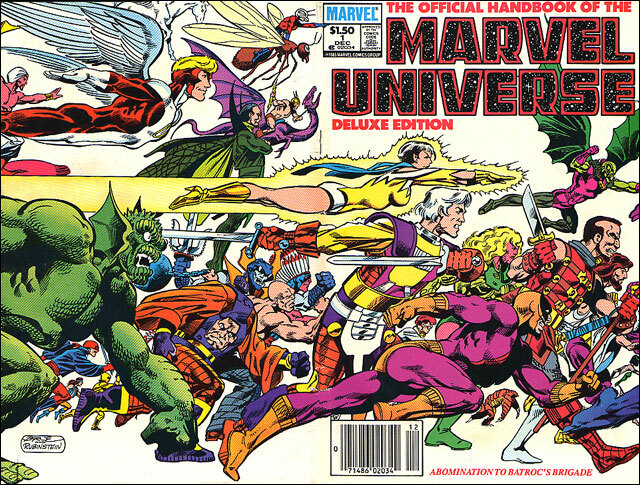 Like many children of the nineteen eighties, I grew up on the likes of Who's Who in the DC Universe and the Official Handbook of the Marvel Universe. Before I read many superheroes adventures I read summations of their adventures in these great books designed by talented folks like Peter Sanderson, Bob Greenberger and Mark Gruenwald. Over the years I learned a ton of information about characters well-known and obscure. 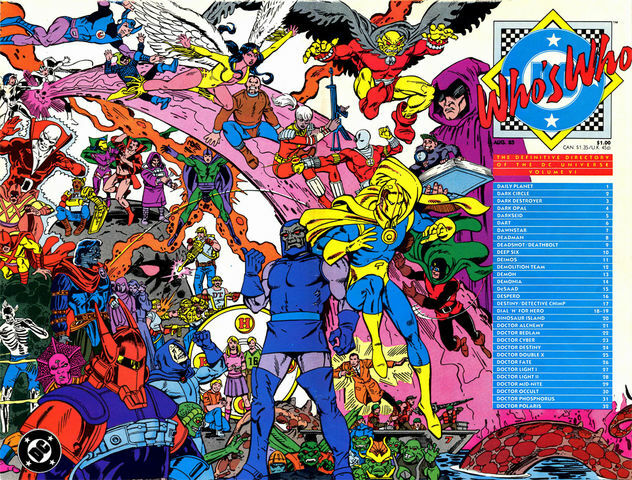 I quickly gained interest in characters like Doctor Fate and The Demon or thought far more obscure books like Amethyst and Atari Force are far more important than they were. While I preferred the comprehensiveness of DC's entry in the style, I really loved OHOTMU's layout inside far better. Characters were given as many pages as needed even if obscure players were left by the wayside. Stay tuned tomorrow for the first installment of our new feature! The Shape of Water won four Oscars and a slew of other awards over the last few months. It deserved them; it's easily one of the best films of 2017. But it's far from the first piece of fiction to tell of the love between woman and fish-man. Separated at birth? Left: The creature from Guillermo Del Toro's The Shape of Water. Right: John Davie's illustration of the One from the Deep for Horror Heroes 2. Perhaps it's nothing Oscar worthy, but "The Beach House" is a compelling entry in my writing history. It's well worth a check for anyone that wants to see more creatures from beneath the sea, or just want to see me write something a bit more romantic. Horror Heroes 2 is an anthology of monsters turned heroes. It also features "Frankenstein & The Rejects" by Travis Hiltz and Darrin Albert's "Steamed," which features Bigfoot. It is now available in print and Kindle editions. My wife, children and I all greatly enjoyed Marvel's Black Panther greatly, as the MCU continues a streak of films that have seriously upped their game a decade into their shared universe. 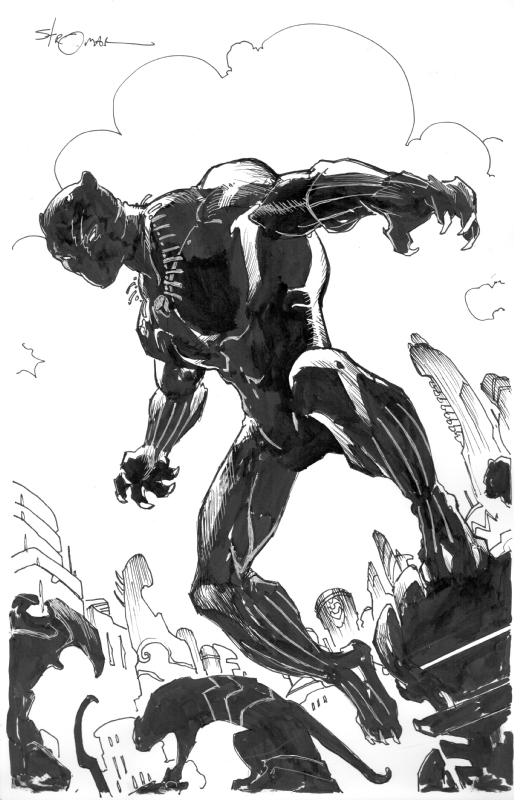 With that in mind, I chose this great piece of Black Panther art by a classic favorite of yours truly, the always unique Larry Stroman. A new home for What's Up! I have long used Friday mornings as a drop point for my What's Up column where I feature some of the novels, comics, movies, music or games I'm enjoying. I have officially ended that column as a regular blog post. I have a new replacement weekly column in the works for the near future however, so stay tuned for news about that one! 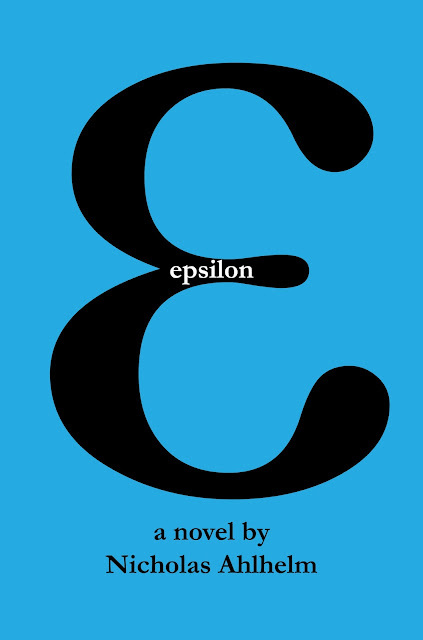 The adventures of Epsilon... now on sale! Epsilon is one of my oldest projects, the story of a super-team with gross deformities as they rebuild from their greatest tragedy. It was a unique tale that introduced an entire school of heroes. Its cast is one of the most diverse and entertaining I've ever created. The regal Athena is trying to rebuild the team and the school. The feral Bagheera seeks answers to his own past. The ferrous Flint remains out of a sense of loyalty to a lost love as much as his own students. Acid-skinned Beauty must deal with the return of power that she sees as a curse. The winged Air Raid is trapped between his insecurities and desires. Thief and Devil Boy are old friends whose relationship just became more complicated. Rubicon wants nothing more but to overcome his long-standing rivals, but with his old foe dead and his own body restored to human form, he must face a future without the cause he raised for decades. The complicated lives of our heroes and villains all come to an explosive head as a threat from the past rises and betrayal from inside might destroy the new school before it even has a chance to rebuild! 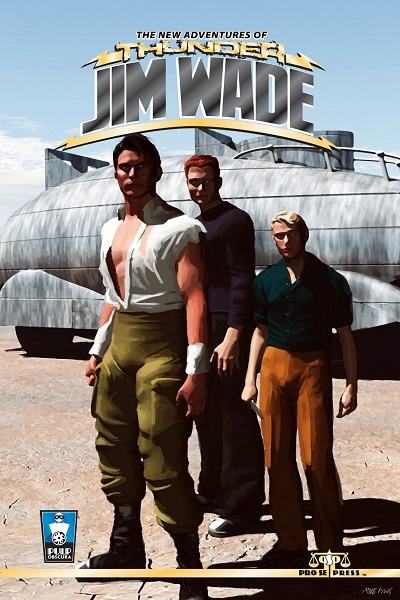 If you're interested in taking the plunge into the worldwide adventures of this unique super-team, it is now 25% off over at Smashwords during Read an Ebook Week! Go grab a copy and let me know what you think! The sale ends March 10th. Let's talk about a truly controversial subject, the man that gave us these guys. 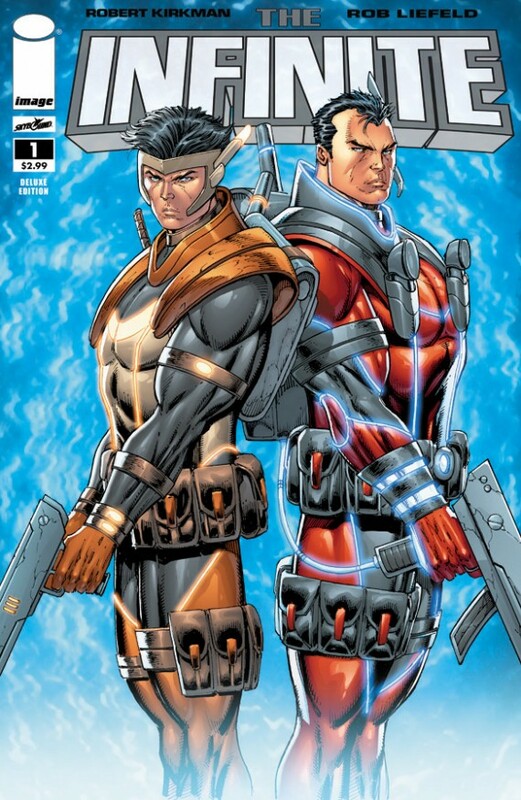 Rob Liefeld gets tons of flack from comic fans and it's not without reason. He has a history of criminal lateness, a seeming dislike for editors and a bit of a cantankerous streak that has ended a few too many projects. His creations have become the focal point of Fox's blockbuster Deadpool and its upcoming sequel. He's worked with some of the best writers in the business from Alan Moore and Robert Kirkman to Joe Casey and Jeph Loeb. And he does it all with the energy of an ADHD patient off his Ritalin. No, he's not the best artist on the market today. He's anything but the fastest. Much of his work is built around high-intensity low plot storytelling. But he does something few other creators can offer. He brings a level of gonzo energy to his works that rival some of the all-time greats in comics. His creative forces have brought dozens of characters to life and often those characters are years ahead of their time. He's created legions of fans in the process as well, as can be viewed from the creative forces he combined for his arrival of the Extreme line in the last few years. Names like Warren Ellis, Sophie Campbell, Brandon Graham, Tim Seeley, Erik Larsen, Chad Bowers and Michel Fiffe have all contributed to various past and upcoming projects. The creative fire Rob brings reminds this writer of the likes of Jack Kirby, Steve Ditko, Jim Starlin or writer Steve Gerber. 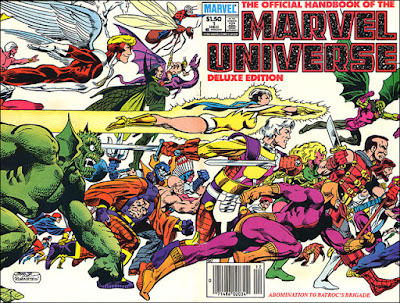 It's a sort of manic need to create, to share an undeniable vision of what comics should be. I can point out twenty carefully crafted comic series from spectacular talents on the market today, but few can match the love and power that goes into works by those greats or Liefeld. His raw creative energy might never be as carefully crafted as some, but he's not afraid to let a few warts show to bring his vision to life. Robert Kirkman was a decided advocate of Rob's works, to the point that he helped bring Rob back to comics in a major way with The Infinite. Like so much of Rob's works it was never finished, but it shows exactly the level of tour de force energy I'm talking about. Lately, Rob has been doing a lot fewer comics than he once did. While he has written and drawn a few back-ups for Chad Bowers & Jim Towe's excellent Youngblood revival and will be the inspiration for Michel Fiffe's upcoming Bloodstrike: Brutalists, he's drawn very little since the release of Deadpool: Bad Blood last year. He remains an incredibly divisive figure, yet opinions of him online seem to slowly be turning to the positive. 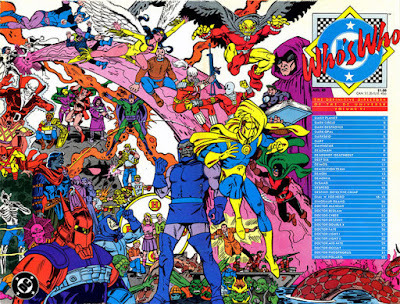 It's unlikely he'll ever be universally respected, but I remember a day and age in the 1980s when Jack Kirby was considered a hack by a lot of people. I think it's time to re-evaluate and look back at everything Rob Liefeld has given the world of comics. Let's celebrate it, warts and all.